Sickened in Aruba – does this guest deserve a vacation re-do? Joseph Gordon’s recent stay at the Aruba Marriott Resort & Stellaris Casino did not go as planned. Actually, that may be something of an understatement. It was a disaster. Posted in Is This Enough Compensation? Tagged ARUBA, MARRIOTT, sick, VACATION110 Comments on Sickened in Aruba – does this guest deserve a vacation re-do? What’s worse than being stricken with stomach flu on vacation? Maybe it’s being quarantined on a cruise ship with hundreds of other passengers suffering from the same illness. That’s what happened to Randy Fulp when he sailed to Mexico with a group of friends on the Caribbean Princess in January. An appraiser from Sacramento, Fulp is a seasoned cruiser and knows the risk of getting sick, particularly at this time of year. Cruise ships are on high alert for sightings of the Norwalk virus, also known as the norovirus or stomach flu, a highly contagious gastrointestinal illness. 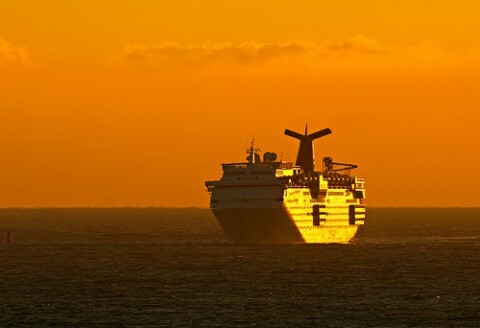 Question: We were recently scheduled to sail on a seven-day Carnival cruise to Mexico. A few minutes after we boarded in Long Beach, Calif., I had horrible kidney pains. I couldn’t walk, and felt as if I was going to pass out. My husband immediately took me to the medical doctor on board. He performed an ultrasound and I asked for something for the pain. All of a sudden he said you need to get off the ship because you have a kidney infection. Within two minutes we had three Carnival employees rushing us to get our bags and they escorted us off the ship. All the while, I could barely walk. One of the employees told me not to worry, that I could cruise at a “later date.” Everything happened so fast. I was never given a choice of whether to stay on board or not. No refund for a sick United passenger? Question: Last year, my husband and I bought round-trip tickets to fly from Pittsburgh to Houston on United Airlines. A few weeks later, my husband was diagnosed with a brain tumor. We originally thought he could still make the trip, but after his biopsy, it was clear he couldn’t go. His doctor wrote a letter stating that he had advised canceling this trip. United was very sympathetic at first, and said that they would issue a full refund. They asked me to send a request through their website. I received an email a week later, saying they would allow us to cancel the ticket, pay a $50 change fee per ticket, and have up to a year to rebook the flights. Posted in The Travel Troubleshooter Tagged PASSENGER, REFUND, sick, UNITED AIRLINES25 Comments on No refund for a sick United passenger? 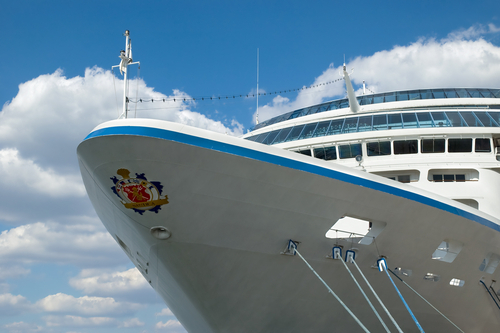 Are cruise lines “dumping” their sick passengers? Fred and Connie Claussen’s honeymoon cruise on Royal Caribbean’s Serenade of the Seas ended on a tragic note. During the voyage, Fred suffered a massive heart attack. The Serenade’s medical staff treated him and then diverted the ship to St. Kitts, where he was transferred to a hospital. Posted in Commentary Tagged CRUISE, HOSPITAL, royal caribbean, sick, ST. KITTS112 Comments on Are cruise lines “dumping” their sick passengers?